Dry needling (also referred to as trigger point dry needling) is a technique used to treat dysfunctions in skeletal muscle, fascia, and connective tissue (Apta.org, 2016). Dry Needling involves the insertion of a thin filament needle to stimulate the healing process of soft tissues (muscle “trigger points”, fascia, tendons and ligaments, etc.) resulting in pain relief. 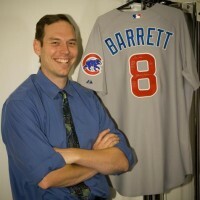 Pro Performance Therapy offers sports specific physical therapy that will improve your performance. We will get you back to your sport if you’re injured, and help you improve if you’re seeking to enhance performance, or prevent injury. Our strength and conditioning programs provide our patients with core strengthening program for stability and improved sports performance. We have extensive experience in working with upper extremity conditioning programs for throwers, such as, but not limited to pitchers, volleyball, swimming, and softball. We work with individuals or groups to develop sport-specific programs for Post-rehabilitation patients, Weekend warriors, High school, and collegiate, amateur, and professional athletes. Think of Pro Performance Therapy to help with injury prevention, managing overuse conditions, returning to training/sport following injury or surgery, advancing to higher-level training, or getting back to a sport or work-out routine after a lapse in time. Coach communication is an integral component of our approach. We will work collaboratively with your doctors, trainers, and coaches to communicate effectively and coordinate the best program for your needs. Along the bottom of the pelvis is a group of muscles and connective tissues that form a sling called the pelvic floor. In both males and females, the muscles help to support the internal organs, control the passage of bodily functions, provide core stability, and more. Issues associated with the pelvic floor can arise at any age and at any fitness level. 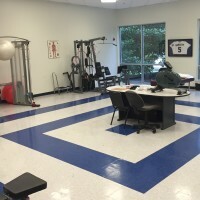 Pro Performance Therapy, LLC provides high quality physical therapy and performance enhancement to the communities of North Fulton, South Forsyth, Gwinnett, and nearby towns. Our purpose is to put the patient’s needs first in all aspects of their care and recovery.